At the Centeno-Schultz Clinic we acknowledge that lower back and leg pain can be debilitating. Treatment options include epidural injections utilizing platelet growth factors (Regenexx PL-Disc) which are intended to increase blood blow and decrease inflammation. 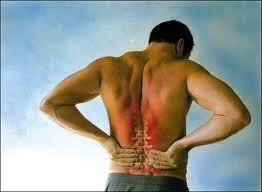 Stem cell therapy is an alternative to low back surgery. 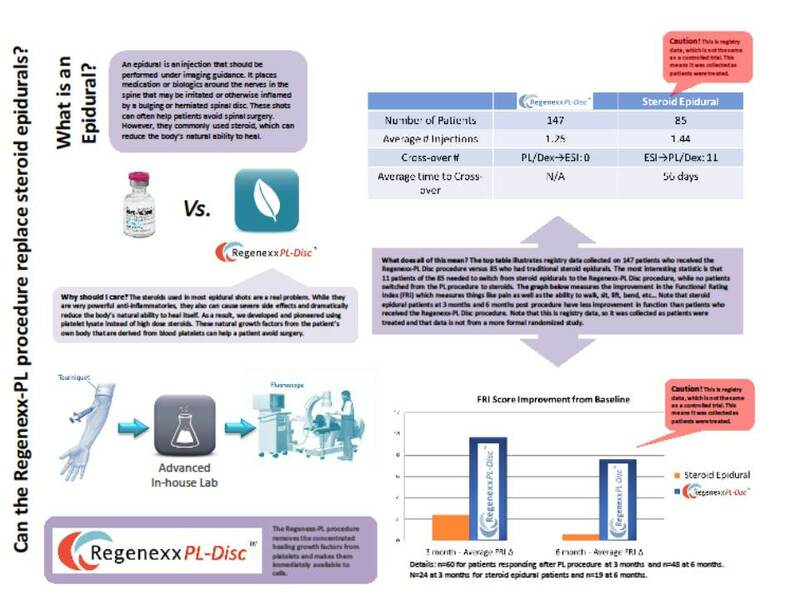 Our most recent data comparing the Regenexx PL-Disc procedure to traditional steroid epidural is shown below. The interesting points are that while 11 patients didn’t respond to steroid epidurals and switched over to the Regenexx-PL-Disc procedure, none switched the other way. In addition, note the dramatically higher increases in patient function with the Regenexx-PL-Disc. Also alarming is the increase risk of osteonecrosis (bone death) associated with oral steroids.